What did Darwin really believe about God? the Christian revelation? the implications of his theory of evolution for religious faith? These questions were asked again and again in the years following the publication of Origin of species (1859). They are still asked today by scholars, scientists, students, and religious believers. The questions have taken on a new relevance in light of controversies over the teaching of evolution and intelligent design in schools, the resurgence of fundamentalism as a political force, and the combative rhetoric of crusading secularists, many of whom take Darwin as an icon. But Darwin was very reticent about his personal beliefs, and reluctant to pronounce on matters of belief for others. His published writings are particularly reserved or altogether silent on religion. His Autobiography contains a short discussion of his religious views, presented as a gradual migration from Anglican Christianity to agnosticism. But this was written toward the end of his life, and intended for the highly select audience of his family and immediate social circle (see Barlow ed. 1958, preface). It should not therefore be read (although it often is), as a neutral account of the development of his thought, or of his innermost beliefs and feelings. A far more revealing source is his correspondence. Letters became an important medium through which Darwin’s readers sought to draw him out on matters of personal belief, and to explore the religious implications of his work. Letters written to Darwin by persons unknown to him became more frequent from the late 1860s onward, as his international fame grew. Young naturalists, sceptical writers, clergymen, and educators wrote to him about his religious views, often seeking direction for their own. In December 1866 Darwin received a letter from Mary Boole, a spiritualist writer who was supporting her five daughters as a librarian after her husband, the mathematician George Boole, died in 1864. That the effect of the action of the Spirit of God on the brain of man is especially a moral effect. My own impression has always been … that you had supplied one of the missing links,—-not to say the missing link,—-between the facts of Science & the promises of religion. My opinion is not worth more than that of any other man who has thought on such subjects … I thank you for your Judgement & honour you for it, that theology & science should each run its own course & that in the present case I am not responsible if their meeting point should still be far off. In his response to Boole, Darwin implies that certain questions are beyond the scope of scientific investigation: ‘These as it seems to me, can be answered only by widely different evidence from Science, or by the so called “inner consciousness”’. Darwin does not dismiss different forms of evidence, or the dictates of private feeling. But he does not venture into such territory in this letter to a stranger. [My] judgment often fluctuates…. Whether a man deserves to be called a theist depends on the definition of the term … In my most extreme fluctuations I have never been an atheist in the sense of denying the existence of a God. — I think that generally (and more and more so as I grow older), but not always, — that an agnostic would be the most correct description of my state of mind. In this letter, Darwin is quite clear that he has never been an atheist. Does he believe in a Creator? Is he a theist? Such terms, he suggests, are so vague and variable that they might mean almost anything. Is he then an agnostic? Yes, but not all of the time. His judgment, he says, is often in a state of flux. What did Darwin mean by the term “agnostic”? The word does not suggest disbelief so much as a fundamental uncertainty about questions such as the existence and nature of God. For Darwin, it also seems to imply that there are limits to scientific knowledge, that there are certain questions that can be answered by science, and other questions that can not. Darwin had made this point in his response to Boole. He had also discussed some of these matters many years earlier with his cousin and fiancée, Emma Wedgewood. In their correspondence, shortly after their engagement in 1838, we find an early expression of Darwin’s religious doubts. My reason tells me that honest & conscientious doubts cannot be a sin, but I feel it would be a painful void between us. I thank you from my heart for your openness with me & I should dread the feeling that you were concealing your opinions from the fear of giving me pain … my own dear Charley we now do belong to each other & I cannot help being open with you. We know from Darwin’s scientific notebooks from this period that his views regarding the Christian revelation were extremely heterodox. It is clear from other correspondence that one of Emma’s most cherished beliefs was in an afterlife. When she writes of them “belonging” to each other, she means so in eternity. There is a marked tension in Emma’s letter between reason and feeling, and between the feared separation caused by differences of belief, and the desired closeness that requires these differences to be shared. The tendency amongst Darwin scholars has been to assume that mutual affection between the couple, together with a strong sense of propriety on Charles’s part, sustained their marriage. If not deeply religious, Darwin was at least not disrespectful to religion. He kept his views largely to himself, and allowed his differences of belief with Emma to remain for the most part submerged. Scholars have also presented Emma as playing the traditional role of Victorian wife, supportive of her husband. Her religious piety and wifely devotion have appeared only as a background to Darwin’s own life and intellectual struggles. Some private documents, recently made available to the Darwin Correspondence Project by members of the Darwin family, offer a fuller perspective on Emma’s religious beliefs. The documents show the importance of Unitarianism, with its emphasis upon inner feeling over Scriptural or doctrinal authority, as a foundation for Emma’s views. They also show that Emma’s beliefs were not simple and unwavering, but a product of intensive study and questioning. Alongside respectable Anglicanism, Unitarianism was another important religious tradition in the Darwin and Wedgwood families. Josiah Wedgwood, who was grandfather to both Charles and Emma, was a Unitarian, and this religious background helped to bring the provincial families, the Darwins and Wedgwoods, together in the first place. Darwin had attended a Unitarian school in Shrewsbury. The circle with whom he and Emma socialised when in London included several leading Unitarian clergymen, James Martineau and John James Taylor, as well as the religious writer Frances Power Cobbe. All were regular guests of Darwin’s brother Erasmus, and of Emma’s brother, Hensleigh Wedgwood and his wife Fanny. In the early years of their marriage, Charles and Emma read a number of works by Unitarian and liberal Anglican authors, including Martineau, Taylor, and Francis Newman. Newman’s Phases of faith was a religious autobiography, charting his spiritual journey from Calvinism to theism. Many of these writings were widely read in the period, and formed part of a heated debate on the authority of the Anglican creed. Sworn belief in the thirty-nine articles of the Anglican church was then a requirement for students, fellows and teachers at Oxford and Cambridge, and of anyone taking holy orders. Lay members of the church were not required to profess belief in any particular doctrine, only to recite the liturgy. But we know, from Francis Darwin’s comments, that Emma used to make the family turn round in silence to face the rest of the congregation when all stood to recite the creed, with its Trinitarian formula. Emma’s copy of the New Testament, extensively annotated during the early years of her marriage, contains notes on passages judged by various Biblical scholars to have been inauthentic, or added by later authors. Emma’s Bible also contains some annotations by Darwin. These indicate a critical reading of Scripture, informed by new historical approaches to the text. They also show that Darwin looked to the Bible as a guide to moral conduct, as in his remarks on Paul’s letter to Galatians, chapter six: ‘read [verses] 4, 5, 6, as practical’. Some of the Biblical commentary that Emma and Charles read in this period raised questions about the process of belief itself. Should it derive from a critical and historical reading of Scripture? should it issue from obedience to the authority of the Church? or should it derive from inner feelings or instincts? Yet she is concerned that the exclusive pursuit of science, which involves ‘believing nothing till it is proved,’ might influence his mind regarding ‘things which cannot be proved in the same way, & which … are likely to be above our comprehension’. She urges him to ‘consider & study the chain of difficulties’ on both sides, and settles finally on this point: ‘but I believe you do not consider your opinion as formed’. As Darwin would later reveal to Fordyce and other correspondents, his opinions on certain religious matters remained unformed. Conscientious doubt, viewed not as a state of disbelief, but as a state of inquiry, an openness with regard to nature and to revelation, like the openness that Charles and Emma so valued between each other–this might have been a bond, rather than merely a void, between the couple. This is not to suggest that tensions between them were resolved. But the evidence of their shared reading and correspondence does indicate that religious differences were not merely suppressed in their marriage; rather, that the foundations of belief and of doubt were a subject of ongoing discussion and mutual concern for many years. The value of methodical doubt as a virtue of scientific character would be asserted by one of Darwin’s leading proponents, Thomas Huxley. We can see Huxley pleading his case in correspondence in the late 1840s and early 1850s with his fiancée Henrietta Heathorn, a relationship that also incorporated differences in religious belief. Not by any means, is the absolute nature of [a man's] opinions in themselves a matter of so much consequence, as the temper and tone of mind which he brings to the inquiry … [Is he] truthful and earnest … or vain… One …who would spend years of silent investigation in the faint hope of at length finding the truth … or one [who] would … gratify a selfish ambition by adopting … the first fashionable view. Letter from T. H. Huxley to H. A. Heathorn, October 1847. In support of his claim, Huxley referred to the many passages in Origin in which Darwin raised objections to his own theory, or discussed the limits of scientific knowledge on particular questions. One can indeed find numerous examples of this in Darwin’s publications: his devotion of a whole chapter in Origin to the difficulties of the theory of descent; his mode of assembling evidence favourable and unfavourable, circling around a position from all sides for dozens of pages, as in his writing on hybrid sterility in Variation in animals and plants under domestication (1868); or on the origin of human races in Descent of man (1871). Some leading Darwinians found this approach frustrating. Alfred Russel Wallace repeatedly urged Darwin to place more emphasis on the facts favourable to natural selection, and worried that Darwin gave leverage to his critics by calling attention to the difficulties of his theory. Indeed, Huxley’s own style of debate, often aggressive and confrontational, hardly followed the Darwin role model. When I see how unfairly and wrongly your great work is judged … how even you personally are maligned, then all my respect for the great audience of naturalists vanishes. Your extraordinary humility is seen as weakness and your admirable self-criticism is interpreted as lack of firm conviction. Of course with good, understanding and thinking men you have only gained … But unfortunately these are in the minority … Energetic attacks and merciless blows are everywhere necessary. I know that it is easy to preach & if I had the power of writing with severity I dare say I shdtriumph in turning poor devils inside out & exposing all their imbecility. Nevertheless I am convinced that this power does no good, only causes pain. I feel sure that our good friend Huxley, though he has much influence, wd have had far more if he had been more moderate & less frequent in his attacks. I may add that as we daily see men arriving at opposite conclusions from the same premises it seems to me doubtful policy to speak too positively on any complex subject however much a man may feel convinced of the truth of his own conclusions. According to Darwin, the voice of science should not be one of absolute conviction, but rather of openness and criticism, or even sometimes of confessed ignorance. The diversity and collaborative nature of Darwin’s readership favoured such provisionality and uncertainty. This readership ranged from gentlemanly specialists and young professionals to pigeon fanciers and gardeners. It included his own family and social circle, and his large network of correspondents, many of whom were clergymen and members of the gentry, persons on whom he relied, and whose observations and authority he incorporated into his texts. We know that Darwin had not a shred of doubt about the power of natural selection to modify and transmute species. The questions were in the details of how it operated. Darwin’s correspondence shows that his religious beliefs changed substantially over the course of this life, and that they never reached a fixed position. His agnosticism should be understood as a state of genuine uncertainty regarding the existence and nature of God. Darwin’s unwillingness to pronounce on religious matters stemmed from his strongly held view that science and religion rest on different foundations and forms of evidence, and that his scientific expertise, no matter how extensive, did not make him a religious authority. Running right through his early discussions on religion and science with Emma, to his publications on evolution, and later correspondence with clergymen and enquiring readers, is an agreed commitment to the practice of conscientious doubt and critical inquiry in both science and religion. Barlow, Nora, ed. 1958. The autobiography of Charles Darwin (London: Collins). Barrett, Paul H. et al ed. 1987. Charles Darwin’s notebooks, 1836–1844. Geology, transmutation of species, metaphysical enquiries(Cambridge: Cambridge University Press for the British Museum (Natural History)). Boole, Mary Everest. Author of works on science education and spiritualism. Cobbe, Frances Power. 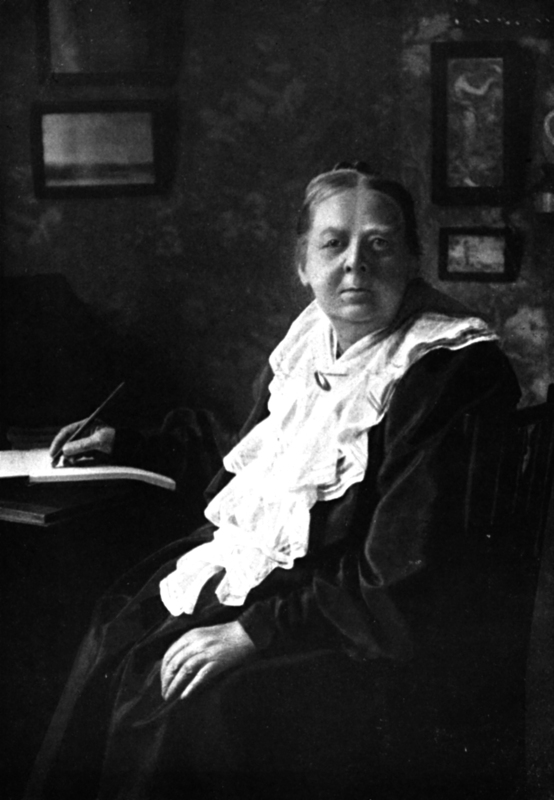 Author of works on moral and religious subjects, campaigner for women’s rights. Darwin, Charles. 1868. Variation of animals and plants under domestication (London: John Murray). Darwin, Erasmus. Charles Darwin’s elder brother. Fordyce, John. 1883. Aspects of scepticism: with special reference to the present time (London: Elliot Stock). Heathorn, Henrietta. Married Thomas Huxley in 1855. Huxley, T. H., “Darwin on the Origin of Species”, The Times, 26 December 1859. Keynes, Randall. 2001. Annie’s box: Charles Darwin, his daughter, and human evolution (London: Fourth Estate). Martineau, James. Unitarian clergyman and religious writer. Newman, Francis, 1850. Phases of faith; or, passages from the history of my creed (London: Chapman). Taylor, John James. Unitarian clergyman and religious writer. Wedgwood, Josiah. Master potter and grandfather of Charles Darwin and of Emma Wedgwood. Wedgwood, Frances (Fanny). Married Hensleigh Wedgwood in 1832. Wedgwood, Hensleigh. Emma Darwin’s brother. Writes lovingly of small events since he left Maer. Fears their opinions may differ on "the most important subject", religion, but is grateful for his openness about his "honest & conscientious doubts". Discusses CD’s religious doubts. Fears his work may lead him to discount what cannot be proved, and advises that there are some things which, "if true are likely to be above our comprehension" and "that there is a danger in giving up revelation". Asks whether CD believes natural selection obviates man’s ability to be guided by spiritual motives. Is anxious that his theory be compatible with her faith. Is unable to answer her questions about religious implications of natural selection, but would prefer to believe that suffering in world is due to natural events. Struck by singular clarity of EH’sGenerelle Morphologie. Remarks on various authors seem too severe. Severity leads the reader to take the side of the attacked person. Making slow progress in correctingVariation. Thanks CD for new edition ofOrigin[4th ed. (1866)]. Comments on CD’s criticism of the harsh tone ofGenerelle Morphologie. Thinks he may have harmed himself but not the cause. Believes a radical reform of the science necessary, and since most scientists take a prejudiced view of the matter, a vigorous attack is essential. Describes his travels in Canaries, Spain, and France. Believes it absurd to doubt that a man may be an ardent theist and evolutionist; gives the examples of Kingsley and Asa Gray. As regards CD’s own views, his judgement often fluctuates but "I have never been an Atheist in the sense of denying the existence of God". Thinks that "generally (and more and more as I grow older) … an Agnostic would be the most correct description of my state of mind".